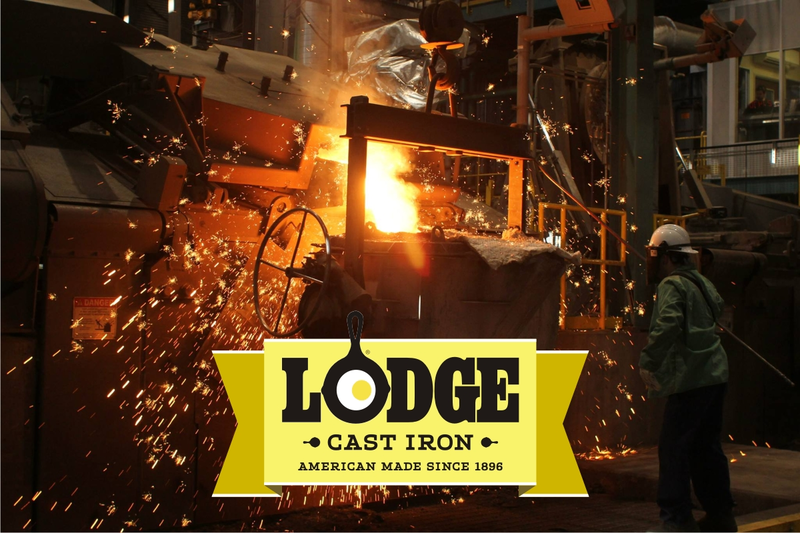 We are excited to now stock LODGE cast iron in Minimax stores. 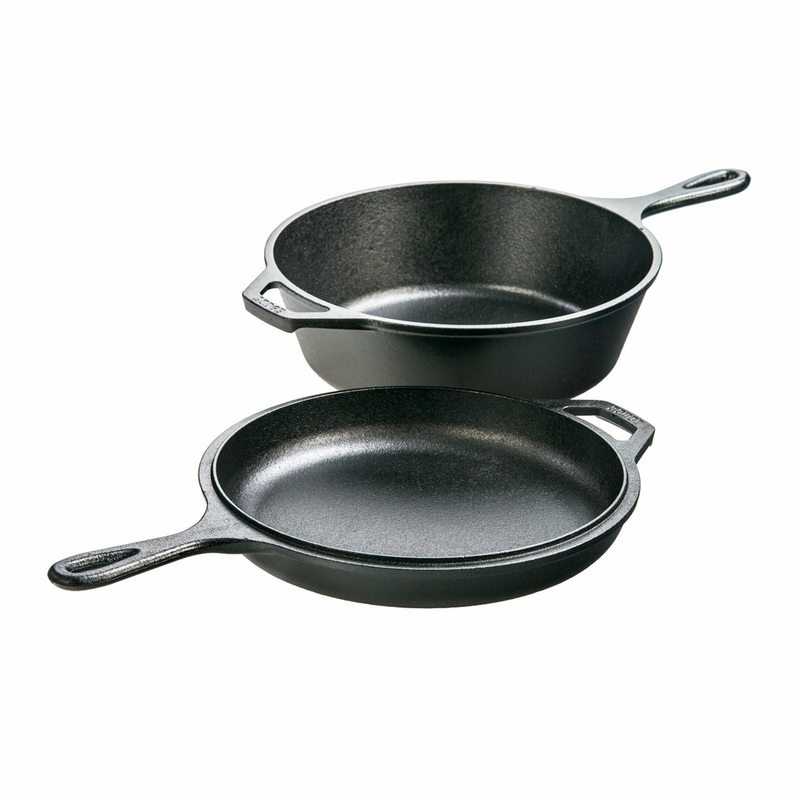 Made in the USA, this beautiful, hand crafted cast iron cookware comes pre-seasoned and ready to use. 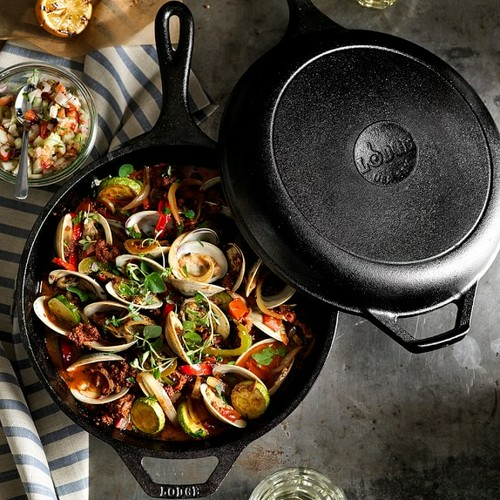 The Lodge 5qt/4.7Ltr Dutch oven is a favorite for cooks of all ages. The looped handles make it easier to move from the stove top to the oven. It's perfect for cobblers and soufflés and can also make a great deep fryer. Preserve your future heirloom for generations to come with these easy tips. Your cookware is right at home on or in any heat source, indoors or out, except the microwave. All new cookware should be rinsed and dried promptly before your first use. Lodge cookware is already seasoned, so you are ready to start cooking. Use any utensils you like, even metal. There is no chemical coating to damage. Always lift cookware on smooth-top stoves. Sliding anything can scratch the surface. Our handles can get hot, so protect your hands by using a handle holder (included). 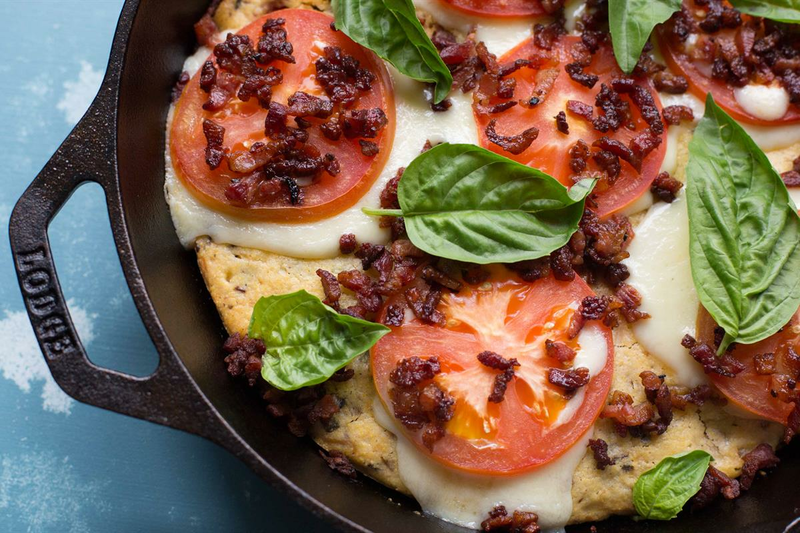 Cast iron performs best when heated and cooled gradually, so give it a few minutes to pre-heat. Cast iron has superior heat retention, so use a lower heat setting to prevent food from sticking. Wash cast iron by hand with a nylon bristle scrub brush. If needed, use a pan scraper for stuck on bits. For extra sticky situations, simmer a little water for 1 minute, then use the scraper after cooled. Dry promptly and thoroughly with a lint-free cloth or paper towel. Rub with a very light layer of cooking oil or our Seasoning Spray, preferably while the cookware is still warm. Hang or store cookware in a dry place. Occasionally, you may notice some dark residue on your towel when cleaning. This is perfectly safe-it’s just the seasoning reacting to foods that may be slightly acidic or alkaline. It will disappear with regular use and care. Soap isn’t necessary, but if you like, a little mild detergent is fine. Promise. Any food-safe cooking oil/shortening will work for maintaining your cookware. We recommend vegetable oil or canola oil, like our Seasoning Spray. Seasoning is an ongoing process that improves the more you cook. With some foods, new cookware might require a little extra oil or butter the first few uses.